In the year 2030, the government has seized control of healthcare. Routine treatment is administered to patients and monitored via in-home telemedicine. Hospitals have been replaced by Centers for Standardized Medicine (CSM). No one is a bigger proponent of the changes than reporter Cheyenne Rose, who lost her mother shortly after the Healthcare Crash of 2018 and her fiancé ten years later after a freak accident. Despite her incredible success and popularity, her life feels empty. Then she meets the Reid family and feels drawn to their simple and honest love for each other. When eight-year-old Ridge Reid’s younger brother develops kidney failure, he agrees to donate one of his kidneys to save his brother’s life. But Ridge unexpectedly dies on the table, and the doctor who performed the surgery vanishes. Faced with a conspiracy that runs far deeper than a single surgery, Cheyenne finds herself thrust into a dangerous investigation. Her informants start turning up dead, and she realizes the people responsible will do almost anything to keep their secret. Cheyenne will risk everything to uncover the truth. K.V. Scruggs is an internal medicine physician, blogger, and novelist. She is an alumna of Clemson University and received her MD from the Medical University of South Carolina in Charleston. She completed her residency in Internal Medicine at the University of North Carolina – Chapel Hill. She is currently working as a hospitalist and lives in Raleigh, North Carolina with her husband and two sons. 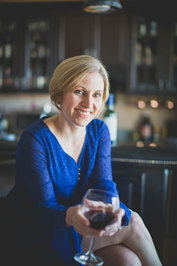 She enjoys writing about current medical issues and uses her blog as a platform to educate patients and their families. She is also a regular contributor to The Huffington Post. In her fiction writing, Dr. Scruggs not only draws from her experience as a physician, but as a wife, friend and mother. What They Don’t Know is her first novel. It is scheduled to be released June, 2017 through Nightlark Publishing! The Healthcare System has crashed and the government has taken over. Now people are monitored in their homes, medicine is provided, and all care is ruled by the government. One of the biggest supporters is reporter Cheyenne Rose. But when a young boy goes in for a surgery and ends up dying from a simple procedure with the surgeon disappearing there has to be more to this story. So, Cheyenne decides to start digging into the real Centers for Standardized Medicine (CSM). But the more she digs into the truth the more she becomes a target. Then when people start dying it’s clear that whoever is in control will do anything to keep everything quiet. Oh my goodness, this book is amazing. It’s even better when you know that an internal medicine physician wrote it. It’s kind of scary to see that this is what a doctor thinks could happen to healthcare in our country. It’s also scary to think about who is making the decision to treat someone or let them die. Where money is more important than taking care of a human being. It’s scary to think that this could happen. I was completely thrown by the ending of the story. I never expected it and am still in shock. This is an amazing story that will draw you in and not let you go. You HAVE to read this. I can’t wait for K.V. Scrugg’s next book. I received What They Don’t Know from Nightlark Publishing for free. This has in no way influenced my opinion of this book. Thank you so much for reading What They Don’t Know. I’m so glad you enjoyed it and I appreciate your review! You are very welcome. Thank you for an amazing story! 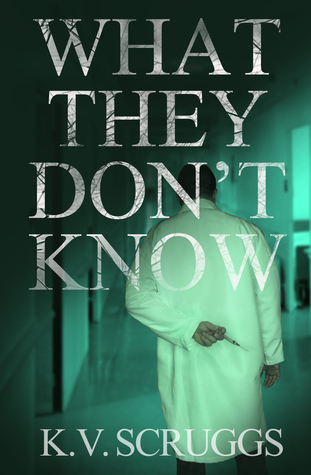 A great review of What They Don’t Know!